From 30th of November to 2nd of December, Spreadshirt is giving 20% off every order! 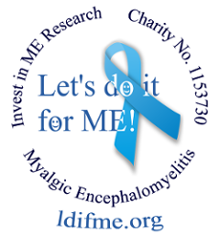 Proceeds go direct to Invest in ME's biomedical research fund. Please note that the periods are non-binding. Depending on order volumes, delivery times and production capacity, Spreadshirt may have to reschedule the order period. Keep checking their blog to find out more about delivery periods. Spreadshirt strives to process orders and ship as quickly as possible, but they have no influence on external providers' delayed delivery times . Important : guaranteed delivery only refers to payments made by credit card, direct debit or PayPal. For bank transfers, they can only begin printing your shirt once we have received payment. This is usually 3-7 extra days for online bank transfers. Last minute presents? …….Teds and Tugs! Bernice Summerfield: Many Happy Returns Out Now!